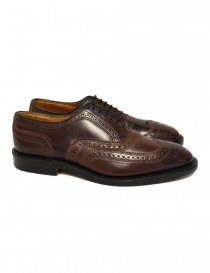 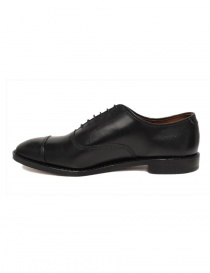 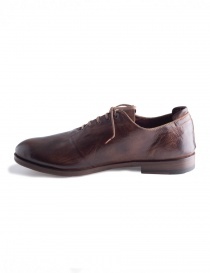 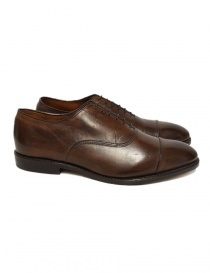 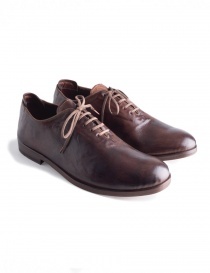 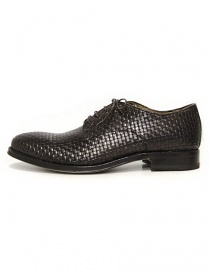 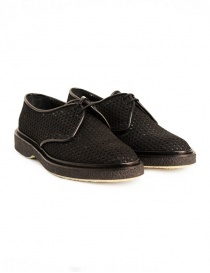 Men's flat shoes without laces in dark brown leather. 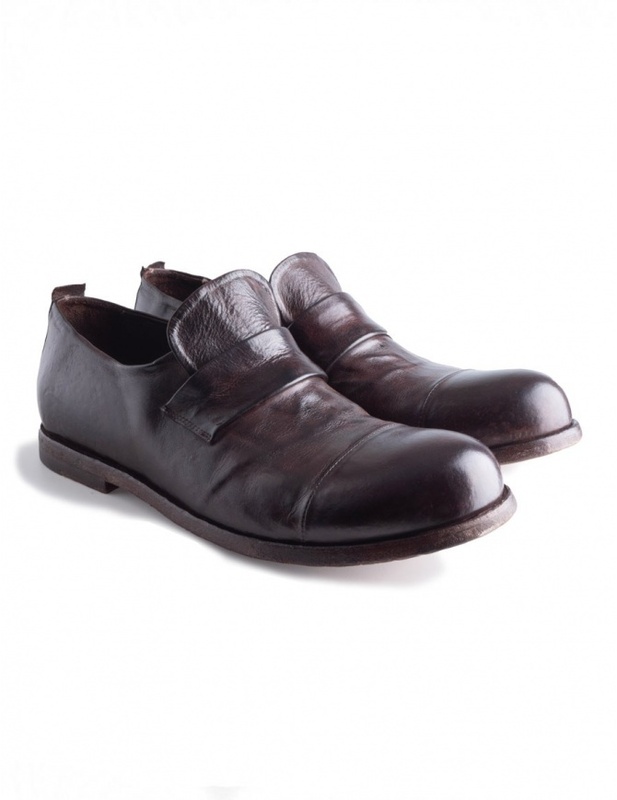 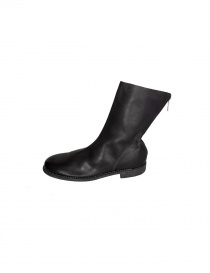 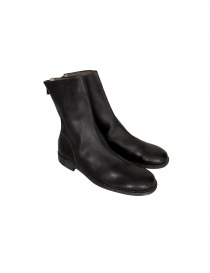 They have a Vintage style with a rounded tip and a leather band on the tongue. Leather sole.